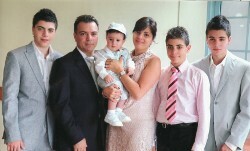 Above: The Gavanas family. 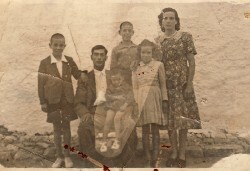 L-R: myself, my father, Georgios- holding my brother, Panagiotis, my brother, Efstratios, my sister, Maria, and my mother, Elli. Above Right: Another photograph of our family. 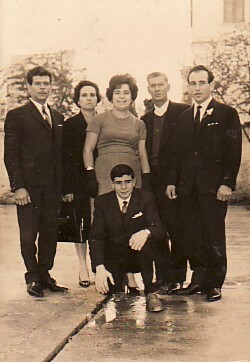 L-R: myself; my mother, Elli; my sister, maria; my father, Georgios; and my brother, Efstratios. Above: At a panygiri in Ipios, 1958. 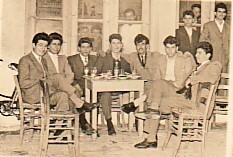 First from the left is Efstratios Kouveris, I am third from the left and Chrystodoros Hatzitsivgas is first from the right. 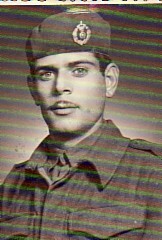 Above Right: My portrait in the National Service. 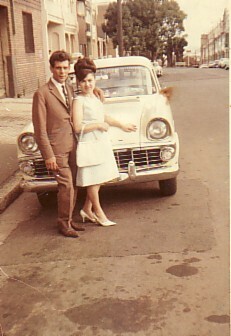 Above: Sydney, 1965. Out with friends. 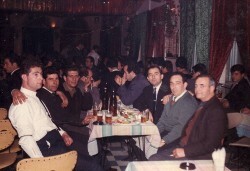 First from the left is Georgios Rigas and I am third from the left, while first and second from the right respectively are Eleftherios Gavanas and Grigorios Koulioumbis. Above Right: With my wife, Amanthia. Above: With my wife, Amanthia and our children, Elli and Georgios, at a social function. Above Right: Our extended family. 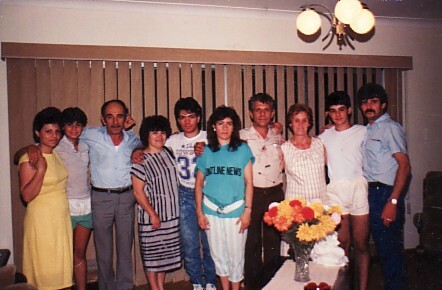 L-R: My sister-in-law, Niki; my nephew, Paraskevas; my brother, Efstratios; my wife, Amanthia; my son, Georgios, my daughter, Elli; myself; my sister-in-law, Evangelia; my nephew, Georgios; and my brother, Panagiotis. Above: At my grandson Zachary's baptism: with my wife, Amanthia; my daughter, Elli- who is holding my grandson, Zachary; and my son-in-law, Kostas. 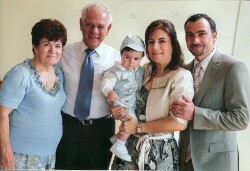 Above Right: Another photograph from my grandson Zachary's baptism: with the proud godparents- my son, Georgios, and daughter-in-law, Cathy- with my grandchildren, Petros, Efstratios and Alexandros.